All stories about how great fortunes are built are interesting, but the very best ones have a guy who starts out with a small grubstake and through serial wheeling and dealing parlays it into an empire. First things first, Peter is not a motivational guru like some are. His career has been in finance and small business M&A. If you need to have your backside kicked before you can take action, he’s not your guy. However, if you are already self-motivated, successful, and just need a blue-print for adding M&A to your growth toolkit, then Peter’s your man. 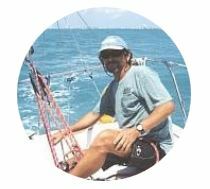 In terms of relevant experience, Peter has over 30 years of business and entrepreneurial history including starting his own companies, buying them, taking one from concept through IPO, helping others to raise financing, as well as over a decade as an M&A intermediary and trusted adviser helping both business sellers and buyers to successfully transfer ownership. He has over 65 done deals as an M&A intermediary. The latter experience was instrumental in creating The Tycoon Playbook because he frequently found himself having to cobble broken deals back together. His startup financing guide is a classic from Silicon Valley to Boston. As a result, he has appeared numerous times on television, radio, and in print media to discuss various topics relating to entrepreneurship and creative business financing. He and his sites have been mentioned in the Wall Street Journal, CNN Money, and other business publications. Peter graduated from Simon Fraser University, one of Canada’s top business schools. Peter developed an interest in tycoons years ago because their stories are not only inspirational but offer “plays” which others can employ to build wealth. In a nutshell, most tycoons started off with a humble grubstake, typically a small business, and parlayed it over time into an empire. Of course, the devil is in the details and that’s precisely what the roughly 1000-page, six week-long course covers. When you finally understand the how-tos, you can go a lot further in your life than you would otherwise. The Tycoon Playbook is the result of Peter’s experiences working with savvy tycoons who acquired multiple businesses, sometimes counted in the dozens, as well as his personal experiences in buying and selling them. Peter has always had a keen interest in how military and financial empires are built. His forte lies in being able to reverse-engineer systems and explain how they function in language that almost anyone can understand. Before you can attempt something truly big, you will need courage. Before you can have the courage, you will need the knowledge. Find out more about Your First 100 Million strategies.